RTL CBS Entertainment is an entertainment channel that brings a balanced mix of reality, drama, comedy and daily programs and features exclusive first run content aired soon after the initial US broadcast including award-winning series like Scorpion, House Of Cards, Extant and of course Under The Dome which will starts its third season. 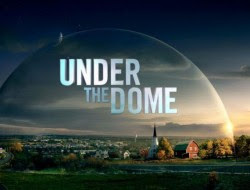 Under The Dome Season 3, will return on RTL CBS Entertainment with its third season, a season that will offer more thrilling and mysterious events in Chester's Mill. On Wednesday July 1 at 9:55PM, a two-hour premiere will be seen with characters that you missed and will be missing. Moreover, Emmy Award winning Marg Helgenberger will join the cast of Under The Dome as the town's therapist, Christine Price. But as she helps the residents of Chester's Mill cope with the events in town, she have more purpose than any body else there. Last Friday, June 26 before its regular premiere, media including bloggers had a chance to watch the two-hour premiere of Under The Dome Season 3. I admit that I am not a regular follower of Under The Dome's previous seasons but, I had a chance to watch it once in a while. I can say that there are more twist and turns of events on this season and you have to listen in every words characters will say, for it has a hint on the mystery behind everything that happens and will happen. RTL CBS Entertainment is vailable on Sky Cable Ch.53 and Ch. 196, Destiny Cable Ch. 53, Cable Link Ch. 37 and Ch. 313 and Dream Satellite Ch. 17.